Alice Lindgren has no idea how she ended up in the White House. A quiet book-loving girl from rural Wisconsin, Alice dreamed of being marrying her childhood crush and becoming a librarian. But a tragic accident changes the course of her life, and Alice finds herself married to man whose political views don’t align with hers, and whose political ambitions far surpass her own dreams. Alice finds herself struggling to remember who she is in a world of privilege and power. I connected immediately with the protagonist in American Wife. Alice is a book-nerd who feels more at home within the pages of a novel than she does with others. She is not always comfortable in social situations, and deals with a lot of anxiety when meeting new people. 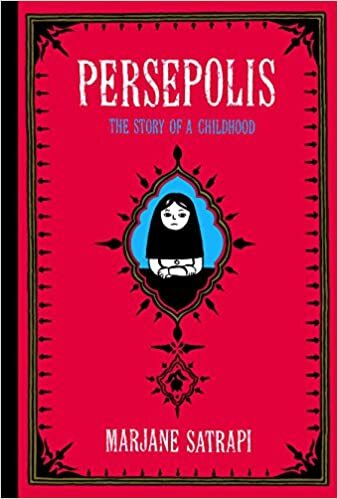 I identified with Alice’s relationship with her grandmother, an equally avid reader who often neglects her family in favor of a world between the pages. I have always credited my grandmother with my love of reading, and the bond between Alice and Emilie was sincerely touching. The plot of American Wife is a like a slowly moving river that gradually picks up speed as it goes along. It meanders its way through the key points in Alice’s life, showing the intimate snapshots of her life rather than drawing back to see the whole picture. There are wide jumps in time, and the story is not always linear. After a hundred pages or so, a small part of my brain kept asking when the book would be “getting to the point”. But the story of a person’s life doesn’t work like that, and instead Sittenfeld winds us through the aspects of Alice’s life that have led her to where she is now. All those little triumphs and tragedies that make up a person. And although it does move slowly, American Wife is far from static. I was not aware until completing this novel that author Curtis Sittenfeld is a woman. This explains the focus on the bonds between women in this book. Alice’s relationships with her grandmother, her mother, her best friends, and her daughter are the keystones of her character. As Alice’s life takes her far from her country upbringing, the strength of these relationships are what sustain her through the transition. While reading this novel, I found myself treasuring the female relationships in my life. So many books focus on the “frenemy” circle of female friends, and it was nice to see something so open and trusting. Much has been said about this novel being a loose re-telling of the life of former First Lady Laura Bush. I had no idea going in that this novel was anything other than a work of fiction, but apparently Sittenfeld took the broad strokes from Bush’s life and worked them into the character of Alice Lindgren. 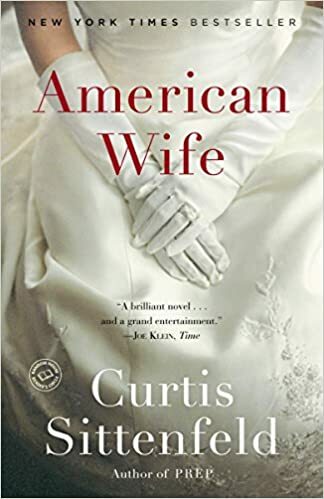 The comparison doesn’t become blatantly apparent until the final act, when Alice and her husband find themselves in the White House, but many of the important milestones from Bush’s childhood and early life are represented in American Wife. Some people have called this a breach of privacy in the lieu of yellow journalism, especially since the character of Alice finds herself in a few situations that the First Lady would certainly not want associated with her person. While I personally did not find that the book intruded on Bush’s life in a deliberately harmful or malicious manner, that would be a judgement for each individual reader to make. While reading American Wife I chose to distance the character of Alice Lindgren from any resemblance to the former First Lady. 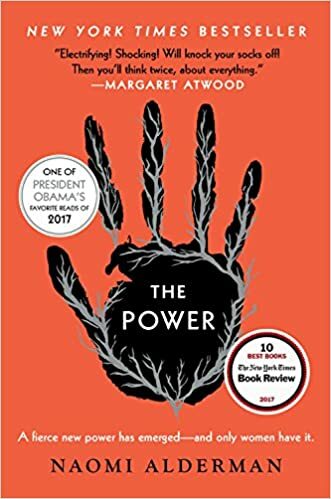 Removing the political factor, what is left is a novel with wonderfully written protagonist that I thoroughly enjoyed. You can find American Wife here on Amazon or here on Book Depository. In the days leading up to and following Donald Trump’s election to the Presidency, the former CEO of NPR Ken Stern realizes that his social and professional circles are comprised entirely of liberal progressives. He then proceeds to spend a year immersing himself in “Trump’s America”, attending gun shows and NASCAR events, and speaking with the people who feel that the American dream has left them behind. He wonders if the gap between Democrats and Republicans can’t be solved by a little human empathy and understanding. I need to begin this review on a personal note. I am a liberal progressive from a family with deeply conservative, evangelical roots. To this day I cannot for the life of me figure out how I ended up on the completely other end of the ideological spectrum from the majority of my relatives. Part of me blames Harry Potter. Or the fact that I was one of the first members of my family to attend university (a liberal arts university at that). Whatever the reason, I can state with utter honesty that the 2016 election was a devastating blow towards my relationship with my family. I felt personally betrayed by their decision to vote for Donald Trump. I felt that they had been brainwashed by Fox News and the NRA, and that they had chosen to side with racism, intolerance, and misogyny. Was I being close minded, unfair, and more than a bit immature? Most definitely. But this knee-jerk offense that people tend to take in reaction to those who have different views from them is part of what author Ken Stern seeks to unravel in his book. I went in with very high hopes of a liberal’s fair and reasoned perspective on rural, white America. It must be immediately addressed that Stern’s book focuses almost completely on white conservative America. At no point does he acknowledge the white, male privilege that allows him to blend in at a gun show, or to interview people in a depressed mining town. The entire book consists almost entirely of one middle-aged white man talking to other middle-aged white men, which gives an extremely limiting perspective. A young black man asking questions of Trump supporters at a NASCAR race would likely have written a very different book. And possibly a more interesting one. In Republican Like Me, Stern tackles major “hot button issues” such as gun control, evangelism, climate change, and attitudes towards the media. His research is meticulous and well-cited. I enjoyed his use of statistics to blow holes in both conservative and liberal ideologies. For example, during his chapter on gun control he mentions that the majority of firearm deaths in the United States are committed using handguns, not assault rifles. And the vast majority of firearm homicides are either individual murders or suicides. Stern uses this data to draw the conclusion that the Democrats frenzied screaming for a ban on assault weapons will not significantly lower the percentage of gun deaths in the United States. It might lower the rate at which (white) gunmen walk into public schools and shoot a bunch of children, but Stern doesn’t talk about that. He does delve heavily into the economic factors which led people to vote for Trump. If a person from a West Virginia mining town sees Hilary Clinton speaking at an exclusive Manhattan banquet about “shutting down the coal industry”, of course they are not going to view her with favor. Stern does not address Clinton in his book, but I wish he had. I had to bite my cheek and grimace as I checked her name on the ballot in 2016. I imagine that a great deal of conservatives had to do the same thing when they voted for Trump. It was this idea more than anything else which caused me to pause and think. I’ve been a liberal all my life, and I can say without pause that the Democratic party comes off as arrogant, condescending, patronizing, and sanctimonious. They have ceased to be the party of the working people. And while liberals, myself included, pat ourselves on the back and tell ourselves that we will at least be on the “right side” of history, it doesn’t change the fact that 33 governorships, 51 senate seats, and 237 house seats are held by the GOP. If the Democratic party hopes to succeed, they need to remember that not everyone in the country lives in New York or California. But I digress. On one hand he is absolutely correct. Republicans demonizing liberals and Democrats bashing conservatives doesn’t help anyone except the lobbyists and the corporations they serve. And it is much easier from a psychological standpoint to cater to our own confirmation bias than it is to logically and rationally consider new ideas. It’s easier to point the finger at the “dumb rednecks” who got duped into voting for Trump because they were to stupid to know any better. Most Republican voters are decent, middle-class people who are just trying to support their families and build a better life in a country that they perceive as falling into chaos. This is not new information, and it is not presented here in a new way. The problem is that it is very difficult to have a logical and rational conversation regarding these ideas. I will absolutely listen to someone from a small, dying Rust Belt town as they lament that all of the factories are closed and the jobs are gone. I can and have discussed fracking versus solar versus coal as a viable form of energy for the future. But I cannot in good conscience listen and nod as someone lays all the blame for their misfortune on “the Muslim African” who got elected illegally by putting mind-control substances in America’s drinking water. I’ve had those exact words said to me by a former coworker. What does Ken Stern think a person should do in that situation? Am I supposed to say, “Ah, yes that’s a very good point and I respect it”? What about the man from my hometown who thinks that all Muslims should be deported whether or not they are legal American citizens? I would wager ninety-to-one odds that he has never met a Muslim in his life. But am I meant to shake this xenophobe’s hand and strive to find common ground? I realize there are no easy answers, and this is not a conversation that can be solved with one book, or ten, or a thousand. But at the end of the day, Ken Stern pulls too many punches, wastes too many opportunities, and only acknowledges the “white working class” facet of an extremely convoluted issue. For now I will have to accept that we cannot “just all get along”. I guess I’ll just have to continue avoiding political conversations at family gatherings. 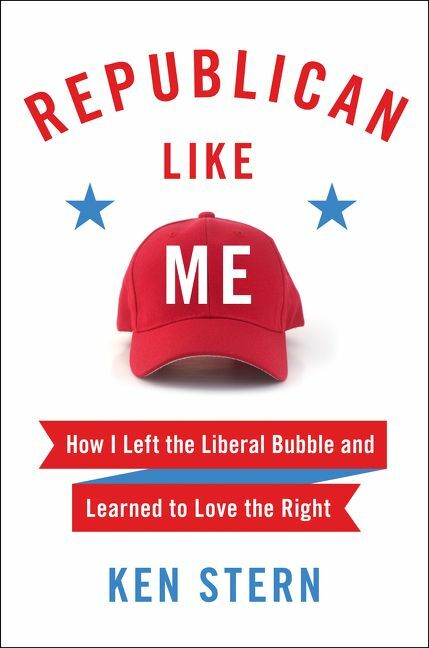 You can find Republican Like Me here on Amazon or here on Book Depository.